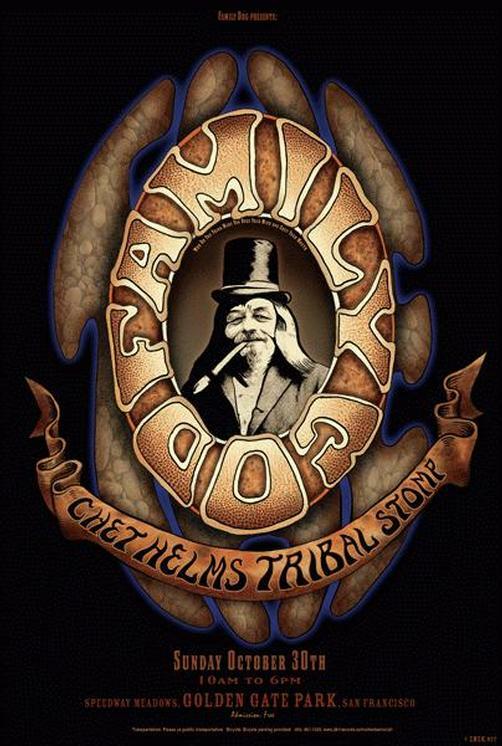 Original concert poster for the Family Dog Chet Helms Tribal Stomp in San Francisco. 12 x 18 on card stock. Signed by artist EMEK.